Thou shalt not confuse thy blog with the Gospel. Your posts are not beams of light into the darkness of cyberspace; they are not the power of God unto salvation; they are not even (thank God) a reforming influence within your degraded society. Thou shalt not confuse thy blog with Jesus. No one imagines you to be a model of sinlessness; no one is particularly interested in your integrity or your godliness. Thou shalt not confuse thy blog with a church service. Your readers are not your congregation, you are not the shepherd of their souls, your posts are not the bread of salvation. The first step towards healthy blogging is the recognition that nobody needs your blog. 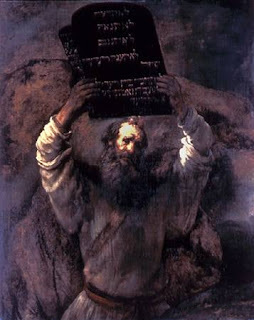 Thou shalt not confuse thy blog with the Holy Scriptures. No one cares whether you’re infallible and inerrant. You can change your mind as often as you like – sometimes, you can change it two or three times in a single post. Thou shalt not confuse thy blog with an electoral poll. Obsession with stats, or with schemes to increase those stats, is one of the first signs of the Very Wanky Blogger Disorder (VWBD). Thou shalt not confuse thy blog with a corporate teamwork retreat. We’re not all equal team players, we’re not brainstorming together or creating mission statements, we’re not empowering one another or learning to respect and value one another’s differences. Just once in a while, you should go ahead and tell someone that their opinion is the dumbest thing you’ve ever heard. Go on. It’ll make you feel so much better. Thou shalt not confuse thy blog with a university. No one expects your posts to be the product of years of careful reflection. The purpose of blogging is to express hasty, half-formed opinions, and to eliminate the customary time lapse between thinking and publishing. Thou shalt not confuse thy blog with the school headmaster. Resist the temptation to create stupid and pompous lists of rules for blogging – and ignore anyone else who invents such rules. Finally: Thou shalt not confuse thy blog with God. If you ever catch yourself acting like God’s cyber-spokesperson, or if you ever feel tempted to describe your blog as a “Godblog,” just remember that God is not a blogger – in fact, She probably hasn’t even heard of your blog. You can view the whole program online here – a 42 minute musical extravaganza! Propositions on Christian theology: a new book by Kim Fabricius! Kim Fabricius’ delightful “propositions” are well known to F&T readers. Kim starting posting his propositions here back in early 2006 – and he went on to write dozens of posts, exploring everything from prayer and preaching to hell and heresy, from pacifism and ecumenism to Barth and baseball. Kim’s posts have always attracted a lot of attention (they are by far the most widely-read and widely-cited posts on this blog) – in fact, his writing was so popular that the folk at Carolina Academic Press approached him about turning his posts into a book. And so I’m very happy to announce that Kim’s book will be hitting the shelves very soon: Propositions on Christian Theology: A Pilgrim Walks the Plank (Carolina Academic Press, 2008), 228 pp. It’s currently available from Amazon, or at a pre-publication discount from the publishers. Bruce McCormack’s 1995 work on Karl Barth’s Critically Realistic Dialectical Theology is one of the towering monuments of Barth studies. It casts its shadow over all subsequent interpretation of Barth, just as it has corrected or relativised much earlier work in the field. 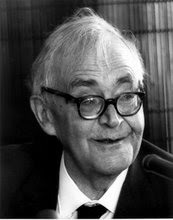 Since 1995, McCormack has produced a steady stream of essays on Barth’s theology (a full list here) – essays which have continued to expand the horizons of Barth-interpretation in many directions. Broadly speaking, McCormack’s full corpus of essays can be divided into three categories: historical studies, focusing especially on Barth’s relation to the 19th century; studies of Barth’s relation to contemporary theology (especially to contemporary evangelicalism – although unfortunately none of the essays on evangelicalism appear in this collection); and finally, constructive essays on the contemporary significance of Barth’s theological ontology. The essays selected for this volume (all of them previously published, but some appearing now in English for the first time) are organised under these three categories. In the first section, McCormack explores Barth’s relation to the 19th century, particularly the traditions of Schleiermacherian theology and Kantian philosophy. Against the common tendency to find in Barth a complete break with Schleiermacher and with Kantian foundationalism, McCormack situates Barth within the broad Schleiermacherian tradition of “mediating theologies.” He argues that Barth’s thought remains wedded to neo-Kantian categories (even if, admittedly, “Kant is no longer Kant by the time Barth is finished with him”), and he shows the extent to which Barth remained “a 19th-century theologian” who was deeply preoccupied with the questions and problems of the Schleiermacherian tradition. If Barth’s project was born of an effort to overcome theological historicism and psychologism, this was in fact a struggle not against Schleiermacher but against Troeltsch – although Barth himself persistently confused Schleiermacher with Troeltsch, or at least imagined that a root-and-branch repudiation of the latter had to entail a rejection of the former. 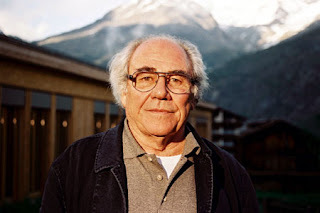 Throughout Barth’s career, however, he shared the fundamental concerns of Schleiermacher, and he agreed with Schleiermacher that post-Kantian dogmatics had to be shaped by the epistemological “turn to the subject” and by the problem of the limits of human knowing. In this set of historical interventions, McCormack’s antipathy to “postmodern” readings of Barth is never far from the surface. For McCormack, postmodern and non-foundationalist appropriations of Barth’s thought are based on flawed understandings of Barth’s own questions and contexts – and also on a failure to grasp the real priorities for contemporary constructive theology. The essays in the book’s second section bring this critique explicitly to the foreground. McCormack analyses and critiques the “postliberal Barth” of Hans Frei and George Lindbeck, together with the “postmodern Barth” of Walter Lowe and Graham Ward. He finds more promise in the work of John Webster – although he observes that, at times, “Webster’s Barth can come across as a bit too ‘premodern’,” too closely wedded to the assumptions of classical metaphysics (p. 164). In any case, McCormack’s main point is that English-language research tends “to move much too quickly to ‘use’ of Barth’s theology before having acquired a proper understanding” (p. 165), so that Barth’s theology too easily becomes a mirror of our own contemporary assumptions and commitments. In short: “The followers of Frei and Torrance must look elsewhere for resources for their various projects” (p. 294). While McCormack’s historical work on Barth is peerless for its depth, range and sophistication, his own recent constructive engagement with Barth’s thought represents a major event within contemporary theology. The essays collected in the third section of the book provide a sample of this recent theological engagement with Barth – beginning with the widely discussed Cambridge Companion essay on “Grace and Being,” where McCormack offers a critical correction of Barth’s doctrine of the Trinity. The argument here is that Barth ought to have reversed his ordering of Trinity and election: properly understood, Barth’s own doctrine of election entails that God’s decision to be God-for-us is the ground of God’s triunity. Simply put: according to its own internal principles, Barth’s dogmatics ought to begin with the doctrine of election, not with the doctrine of the Trinity. In chapter 8, a magisterial essay on “Karl Barth’s Historicized Christology” (previously published in German), McCormack continues to pursue this revisionist reading of Barth, by exploring Barth’s own revision of Chalcedonian christology. Before developing his doctrine of election, Barth’s thought contained significant traces of “the abstract metaphysical ontology which underwrote the Christology of the Chalcedonian Council” (p. 207). It was only with the development of his doctrine of election that he was able to excise this metaphysics from his thought; the turning-point here was his insight that Jesus Christ is the subject of election, so that election is “a free act in which God assigned to himself the being God would have for all eternity” (p. 216). God’s decision to be God-for-us is an event in which God differentiates himself into the three modes of being – Father, Son and Spirit. The gap between Jesus Christ and the eternal Son is thus eliminated; the second mode of being in God simply is Jesus Christ. Indeed, this insight can lead McCormack to support Bertold Klappert’s challenging remark that “Barth does not think incarnationally.” For Barth, there is no absolute metaphysical subject which unites itself to a human “nature.” Rather, there is a divine decision in which humanity is taken up into the event of God’s own being, so that “the human history of Jesus Christ is constitutive of the being and existence of [the second Person of the Trinity]” (p. 223). In these highly creative readings (and constructive revisions) of Barth, McCormack is pressing towards the articulation of a striking new theological ontology. I once remarked that, where theological ontology is concerned, John Milbank’s project is the only game in town – and it would scarcely be an exaggeration to say that McCormack’s work represents the only thoroughgoing counter-proposal to Milbank’s ontological vision which is available in contemporary theology. While Milbank’s ontology is structured by hierarchical and participatory categories, McCormack articulates an ontology structured by actualistic categories and by a radically historicised doctrine of God. 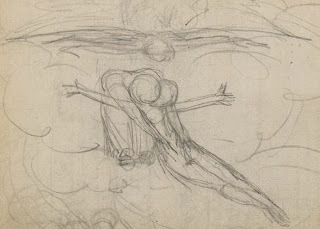 While Milbank’s thought presupposes an ontological state of primal harmony, peace and fecundity, McCormack issues a direct challenge to “the Trinity of peace and perfection” (p. 276), and he envisions instead a Trinity of act and decision, centred on the insight that “the death of Jesus Christ in God-abandonment … [is] an event in God’s own life” (p. 189). Although McCormack has never directly engaged Milbank’s work, his essay on “Participation in God” (chapter 9) shows how much is at stake in the question of creaturely deification, and in the ontological categories through which “participation in God” is understood. In all this, McCormack’s writing is shaped by Karl Barth and by the distinctive problems of modern German theology; but his proposals have a much wider theological significance, and they deserve close attention and deep reflection. Within the narrower field of Barth studies, of course, McCormack’s work is not only a towering presence – it is also highly contentious and divisive. As McCormack himself observes, his recent work on ontological actualism “has incited a controversy that threatens to divide Barth scholars in the English-speaking world into two rival camps” (p. 295). I can only speak for myself here, but I think this division is a productive and important one – and I hope it is sharpened all the more by the appearance of this book. As I suggested in an earlier post (against Paul Molnar), I believe the future of theology lies not in any incarnational realism, nor in the recovery of a metaphysical Chalcedonian objectivism, but rather in a far-reaching appropriation of Barth’s christological actualism. And for this task, there is no better guide than the work of Bruce McCormack. First of all, I really liked David Bruner’s comment, which spoke very nicely of Barth’s breadth, his joy, and his emphasis on mission (“I feel like IV/3 is the real secret gem of CD” – yes, absolutely!). Second, I chose Keith Williams’ entertaining three points: “1. On a first read, I barely understand anything; 2. On a second read, I feel like I’m plumbing new depths of theological insight; 3. On a third read, I’m not sure I’ve understood anything.” Something all readers of Barth can relate to! Finally, I couldn’t overlook Halden’s comment – it’s short and to the point (1. Barth’s doctrine of election; 2. his Romans commentary; 3. his radical politics), but it gets extra points for summing up everything I like best about Barth. Plus, anyone with a blog as good as Halden’s really deserves a free book once in a while. So each of these folks will receive an advance copy of Bruce McCormack’s new book, Orthodox and Modern: Studies in the Theology of Karl Barth. Many thanks to Baker Academic for providing these complimentary copies – and thanks to everyone who participated! Stay tuned shortly for a full review of the book. “For Barth, the triunity of God consists in the fact that God is one Subject in three modes of being. One Subject! To say then that ‘Jesus Christ is the electing God’ is to say, ‘God determined to be God in a second mode of being.’ It lies close to hand to recognize that it is precisely the primal decision of God in election which constitutes the event in which God differentiates himself into three modes of being. Election thus has a certain logical priority even over the triunity of God. [Quoting Eberhard Jüngel:] ‘Jesus Christ is the electing God. In that here one of the three modes of being is determined to be the God who elects, we have to understand God’s primal decision as an event in the being of God which differentiates the modes of God’s being.’ So the event in which God constitutes himself as triune is identical with the event in which he chooses to be God for the human race. Thus the ‘gap’ between ‘the eternal Son’ and ‘Jesus Christ’ is overcome, the distinction between them eliminated…. There is no ‘eternal Son’ if by that is meant a mode of being in God which is not identical with Jesus Christ” (pp. 218-19). This is great Barth-interpretation, and great theology. —From Rowan Williams’ extraordinary new book, Dostoevsky: Language, Faith, and Fiction (Waco: Baylor University Press, 2008), pp. 46, 60. Thanks, Dave – you’ve given us all a lot to ponder. 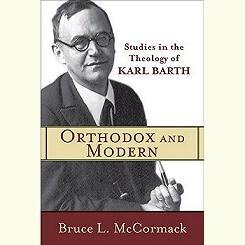 Anyway, Dave is the lucky winner of a new copy of Bruce McCormack’s magnificent soon-to-be-released collection: Orthodox and Modern: Studies in the Theology of Karl Barth (courtesy of Baker Academic). You’ll be hearing more about this book soon. “There is a profound apocalyptic dimension to Williams’ thought here. The meaning of doctrine is not latent within doctrinal history itself. The truth of doctrine is not immanent within the church’s own history and practices. Rather, the truth of doctrine comes to the church from beyond the church’s history. This means that an essential discipline of Christian theology is the practice of self-dispossession, of renouncing the claim to any final vision or any authoritative grasp of the truth. “Following Donald MacKinnon, we might speak here of the ‘kenotic’ shape of doctrinal identity. Even where orthodoxy emerges as the historical winner from the struggle with heresy, that same orthodoxy must relinquish the right to claim a total vision or to interpret the direction of history. 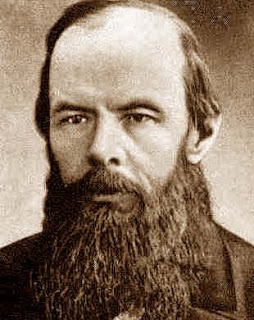 In relinquishing this right, orthodoxy preserves its own essential vulnerability vis-à-vis its founding event – and it confesses that the church can receive truth only from outside itself, as a gift that enters history from beyond history, tearing history open in the apocalyptic rupture of God’s advent. 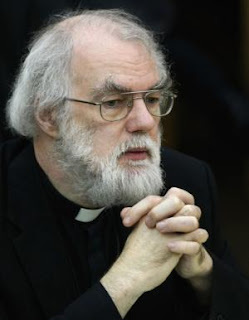 “Williams’ role as Archbishop of Canterbury in recent years illustrates precisely this dialectic of kenosis and apocalypse. As a churchman, he combines an uncompromisingly rigorous commitment to the truth of doctrinal orthodoxy with an absolute refusal to grasp the truth as a possession or to wield it as an instrument of power. Indeed, the most striking thing about Williams’ conduct as Archbishop of Canterbury is his willingness to fail, his refusal to pursue any ideal of ecclesial ‘success’ in abstraction from the church’s spiritual identity as a community defined by weakness, fragility and self-dispossession.